Master of Social Sciences in Management. Double diploma opportunity in partnership with Worms University of Applied Sciences. The studies promote the competences needed in management and in developing business operations of small and medium-sized companies, especially their international business activities. New strategic thinking, new business concepts, excellent networking and leadership skills are in high demand in the global business environment. 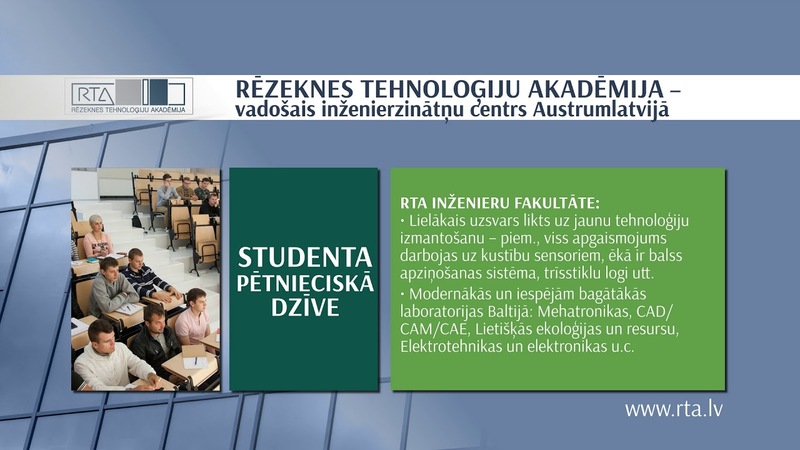 The education also promotes international networking and close cooperation with Rezekne Special Economic Zone. Advanced professional studies include e.g. strategic marketing management as well as change management. Bachelor’s degree in Economics or Social sciences. 2 years of full-time studies. To complete the study programme a student has to acquire 80 CP (120 ECTS).